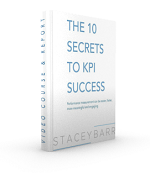 How Many KPI Data Points Do You Need To Use And Interpret Them? There is a statistically proven sweet spot for how many KPI data points you need before you can start using them and accurately interpreting signals from them. The tick-and-flick approach to reviewing KPIs, one at a time down the scorecard, won't ever reveal the insights about how to truly improve performance. 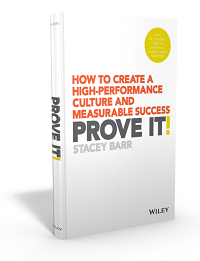 No KPI can ever give you perfect evidence of your goals. But too often we overestimate how good a KPI needs to be, to be "right". The truth is, KPIs aren't ever "right". You just want to be sure they are "not wrong". Should You Measure the Positive or the Negative? People occasionally ask me whether we should measure the positive, or what we want more of, rather than the negative, what we want less of. Mostly they believe it should be the positive. But when does it matter? Or does it ever matter?